Husni Che Ngah was born in 1971, graduated university in Electrical and Electronics Engineering and worked as Industrial Automation and Robotics Engineer. Developed passion for macro photography since 2014. His macro photography mainly more focused on spiders in Malaysia (Peninsular and Borneo). 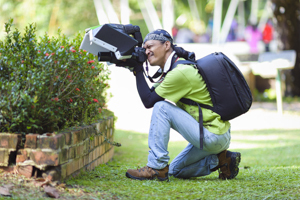 Numerous times follow scientific expeditions conducted by Universiti Sains Malaysia as photographer, and supply photos for books published by the university. Golden spiny ant (Polyrhachis proxima) cleaning antenna. Weaver ant (Oecophylla smaragdina) bullying another small ant. Group of weaver ants (Oecophylla smaragdina) carrying food. Golden spiny ant (Polyrhachis proxima) carrying injured sibling. Ant (Meranoplus sp.) tending aphids (Aphidoidea) on grass chute. A yellow ant (Camponotus sp.) on a grass leaf. Biten by weaver ant (Oecophylla smaragdina). Yellow ant (Camponotus sp.) picking purple flower. Weaver ant (Oecophylla smaragdina) bite my skin.